Today marked a emotional last visit to Marlhill Court. 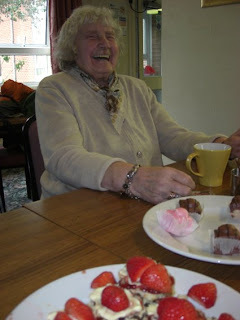 The sheltered home is in the process of closing, scattering tenants (aged 65 to 97) all over Stockport and beyond. We’ve been working there, every week, for 3 years and it feels like we’re leaving an extended family. I feel very privileged to have met so many wonderful people, with so many stories to share and reminiscences that reflect a broad spectrum of human experience. We have met creative, articulate and clever people who never had the opportunities for further education. Many left school at 14, and didn’t touch drawing or creative writing until recently. But when given the encouragement and the materials to do so, in later years, have left their lasting, meaningful mark with text and art. 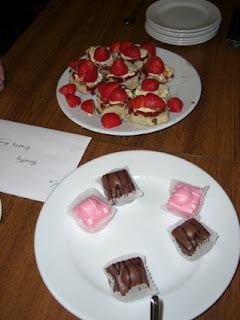 I’ll miss the tea, the cakes and most of all of all the people at Marlhill. Good luck and keep in touch. Its a sad day, going to see everyone at Marlhill Court for goodbyes instead of hellos. Itll be strange to be without those faces - faces of friends - familiar voices, the coffee clatter of Friday. The shock of it has stayed with me all day; the goodbyes keep replaying. The sheer pleasure to see people and the unbelieving that its over. No more arguing with Harry over who makes the tea, no more coaxing Rennie to write up someone's poem in her beautiful hand, no more Phyllis with her tales of tulips and and accidents. I feel tremendous anger that older people, people at the end of their lives, are not allowed the dignity of a last few years amongst friends and in a place they know and love. Not a good day, but I wouldnt wish to have been anywhere else.